I took a little “break” from grilled cheeses, to indulge in twenty minutes of nose breathing in fromagination, right on the capital square. Have you ever seen anything more beautiful? Aside from the intoxicating smell in here, they also have these absurd, (fantastical) cable-controlled ceiling fans….that I foolishly neglected to photograph. In addition to mongering delicious artisanal cheeses, they also monger some delightful accompaniments – like sandwiches, crackers, mustards, jams, and tiny little macaroons. (It’s important to note here: despite my deep love of both fancy cheeses and the various forms of the word “monger,” I do not claim to know much about the proper usage of either.) 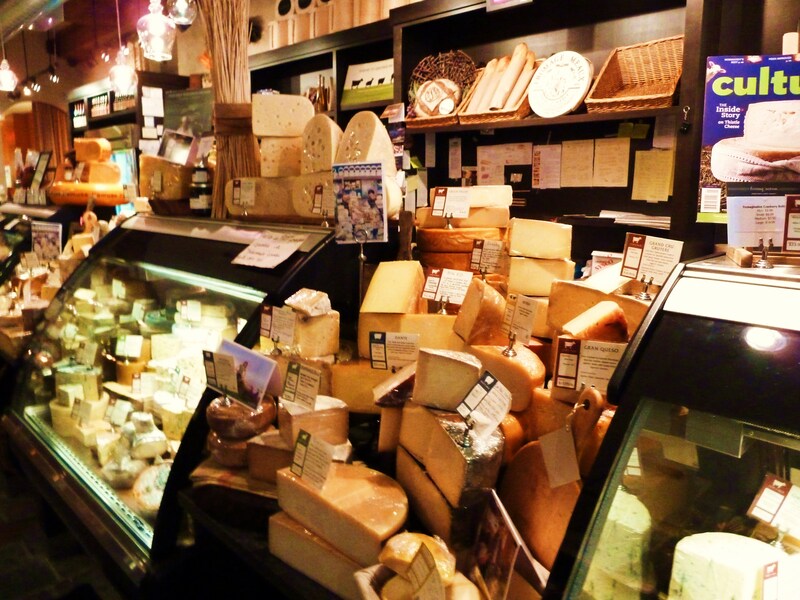 Fortunately, the two guys behind the counter were friendly, helpful and unpretentious – and (seemingly) unfazed that I meant to desecrate their artisanal cheeses in my panini press. 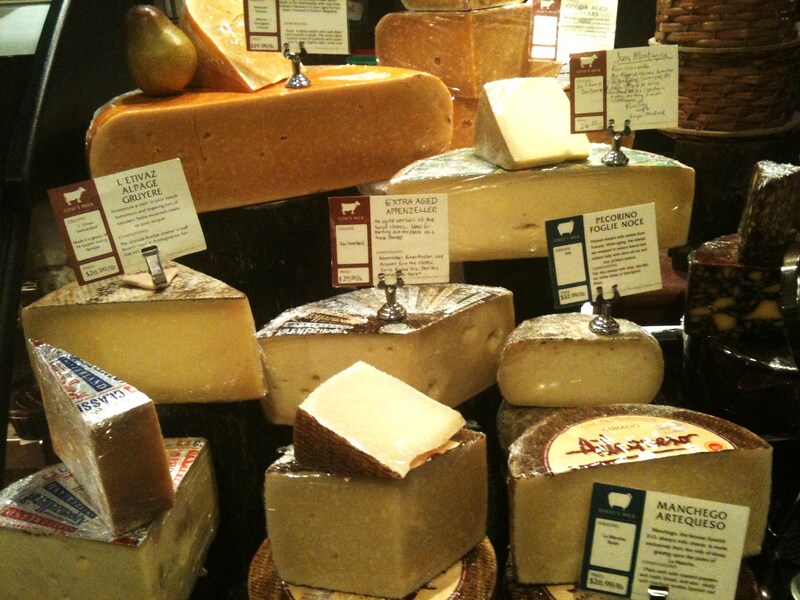 They suggested Pleasant Ridge Reserve (a Gruyere style cheese) and a Marieke Gouda. Frankly, I probably would have bought whatever they told me to. I don’t fool with mongers. It came as no surprise, then, when (smashed between slices of MSC’s sandwich loaf) it was nothing short of glorious. Do visit, if you can. And please, don’t forget the orphans. 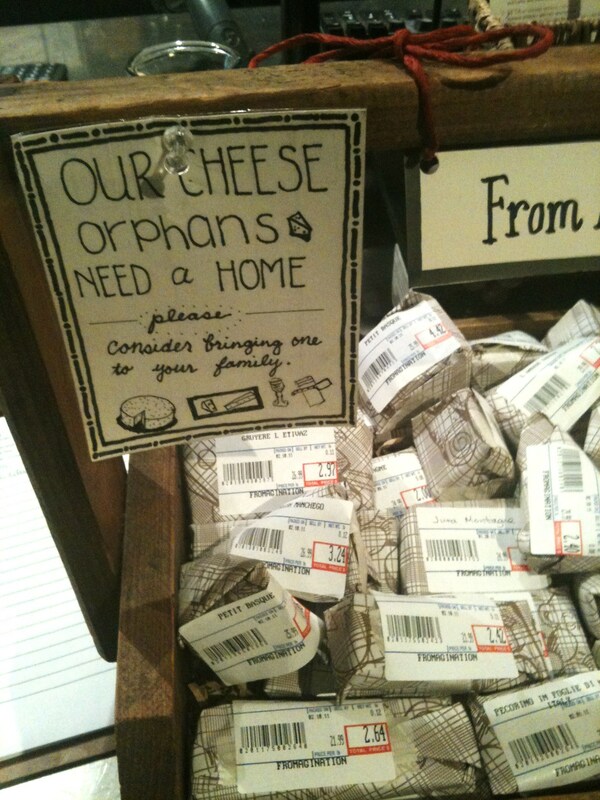 These, poor, helpless little cheeses don’t even have the tears to cry.